Yep, I finally purchased an Echo. I got the itch in the last month, but it had been sold out on Amazon for a while, so I took to Ebay to find one…. But if you like instant gratification, easy returns, and a fair price, I’d definitely suggest Amazon (in stock again)… See the link below. 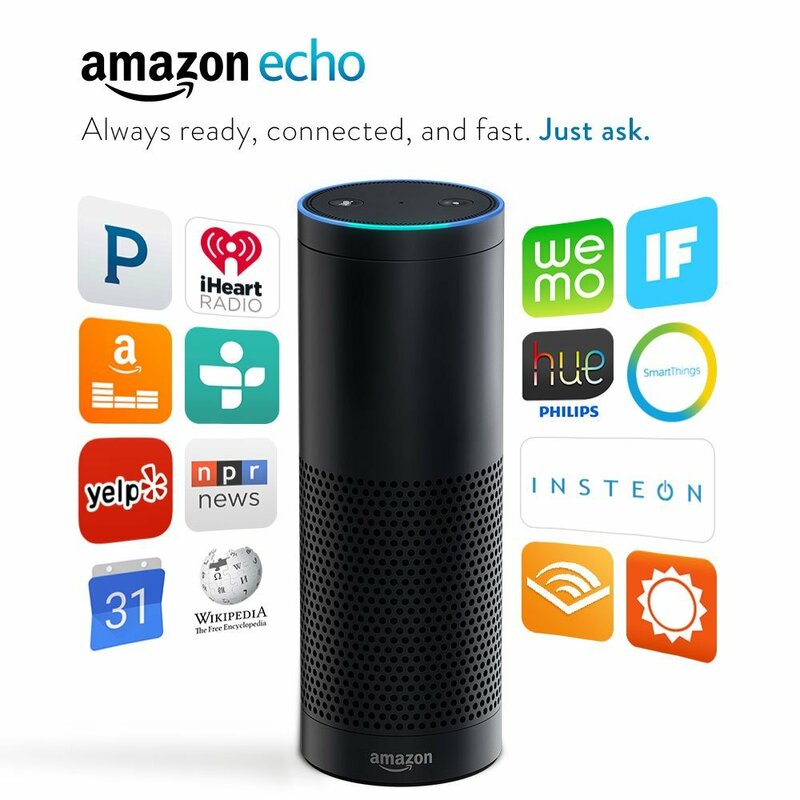 Now, Amazon Echo rolled out quite a while ago. I believe mid June 2015. I initially ignored it… I had it in my head that I found Amazon Kindle useless, and never bought into Amazon Fire TV, etc… So I figured once again this was something niche and wouldn’t fit well with me. I really didn’t research it much at all. I even had a special pre launch discount where I could have saved a substantial sum of cash, since I do a lot of stuff through Amazon. But, the capabilities have gone beyond that, which is what drew me to Alexa… Alexa now ties into Samsung SmartThings which I use a lot in my home.. So I can just ask Alexa to turn off my kitchen lights, or unlock my front door, or turn on my oven, or manage my thermostat. But it gets even better… Alexa now integrates with IFTTT, which opens even more doors, with lots of other services! I highly recommend checking out Alexa/Echo and see if she would work well in your house. I am super pumped to watch this continue to expand and get more powerful!